Absolutely free of cost quotations for all of your security needs. We supply single/multiple door entry solutions for commercial and industrial sectors. We offer a wide range of CCTV/VMS Systems Digital/I.P. Remote Viewing products from Genie, Li-Lin, Aver and Intellex. We offer a wide range of Fire Detection products from Morley, C-Tec, Cooper Menvier (Analogue & Addressable). 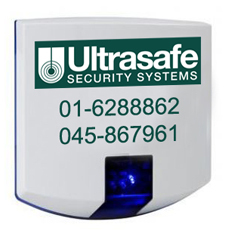 Formed in 1990, Ultrasafe Security Systems caters for commercial, industrial and domestic security system installations. We partner with our clients in developing & implementing focused, tailored, cost effective security solutions that actively reduce levels of security risk. Each installation is project managed to ensure that our client´s security needs are met within time, budget and cost, and with unsurpassed quality.